Admit it: every time you survey your home, exploring every nook and cranny, a part of you yearns desperately to improve it. Perhaps to purchase that missing appliance or furniture, or to add more decorations. More often not, however, you don’t have the luxury to buy everything your heart fancies. But you’ve found a solution. You take out your hand tools, dabbling with DIY projects you can do at home. You sift through tons of websites, only to be disappointed—you don’t want something that merely has aesthetic properties. If that’s you, then you’re in the right place. Here are some projects that aren’t just pleasing to the eye, but also clever and useful. Do you have piles of unused materials (such as wood or doors) gaining dust in your storeroom? Then it’s high time to take them out! In just a few tweaks, you can make them functional again. 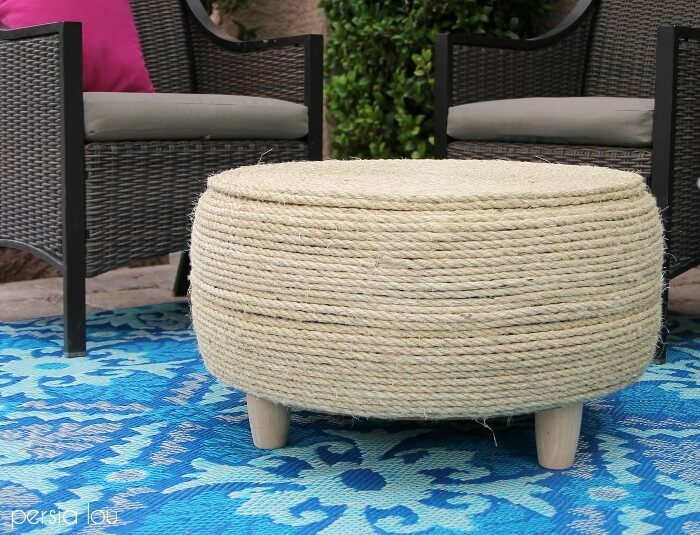 For car wheels, you can refurbish them into ottomans. Place some wooden panels on top, to cover the hole. Adorn them with ropes, or any other material that you prefer. If you have kids and a massive tree in your garden, then you can transform these wheels into swings. Have your children grown up so quickly, leaving their cribs abandoned and rendered useless? Don’t worry, they can still be used—but this time, as their mini tables. Remove one of the crib’s wider sides. Remove the mattress, so it can be used as a flat surface. Find small chairs, and voila!—they’re now good to go. Old doors? No problem! They can be used as coffee tables in your living room. Jazz them up with some paint, and they’ll look as though you pulled them out of a store. Do you often find yourself fumbling in the bathroom, especially with how cramped it can be? Don’t fret, there are actually ways for you to salvage some space. Do you have an old ladder? Repaint it! Place it in a corner and use it to hang things, like towels, or storage baskets with hooks. If you don’t have a ladder, then you can use towel racks. Aside from the bathroom, you can also have more room in your kitchen. Grab your towel racks—yes, they also have their purpose in this part of the house! Install the racks inside a cabinet and use them to store pan lids. If your closets are also becoming stuffed, then you can hang your pots and pans on a rack suspended from the ceiling by using shower curtain hooks. All of us, needless to say, want to spruce up our homes. But home improvement doesn’t have to be expensive! With some existing materials, with your hand tools, and with a dose of resourcefulness, you can revamp your personal space. 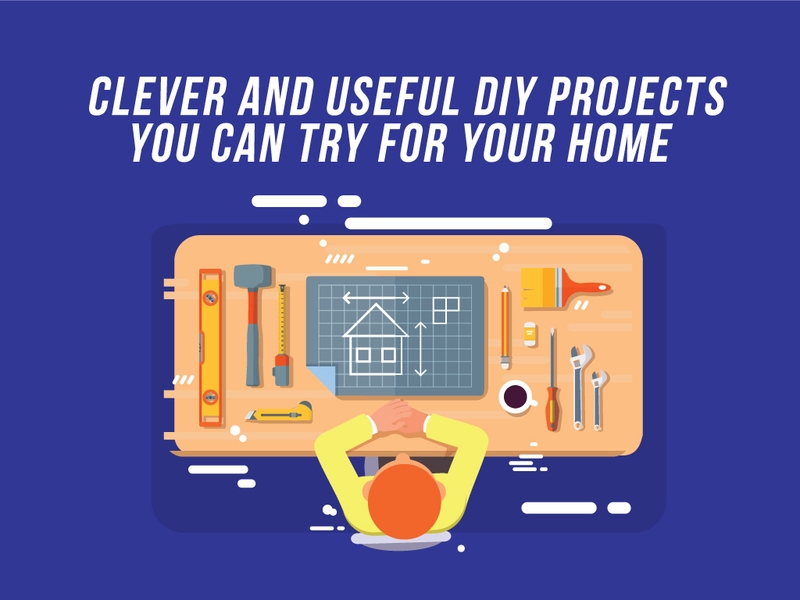 Home DIY projects shouldn’t just be visually pleasing—they should also be extremely functional.